Ibadan Records releases yet another double-pack of killer remixes. This time of “F12” and “Elevation” with remixes from Ink & Needle, Radio Slave, Argy, etc. 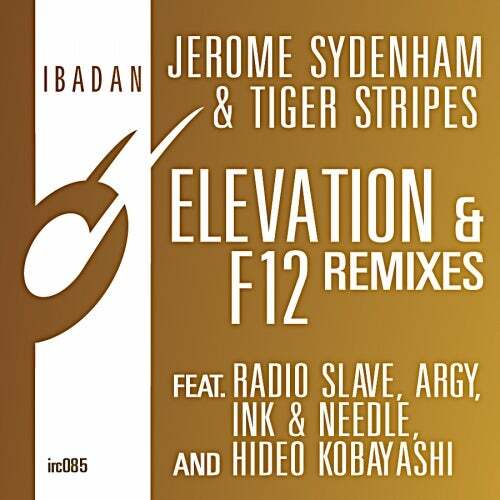 Jerome Sydenham and Tiger Stripes started their collective creative journey with the now classic “Stockholm Go Bang!” They followed up with two installations; “F12”and “Elevation,” on the successful Ibadan 10” Beats series which leads us to this searing new double-pack. Featuring delectable remixes from Radio Slave, Argy, Ink & Needle, and Hideo Kobayashi. F12 In true Argy style he delivers two exemplary and innovative remixes giving us fresh insight into his state of mind for the next musical season. Hideo serves up a punchy jacked Tech mix with progressive overtones. A winner for those so inclined. Elevation Radio Slave yet again shows his musical prowess with two remixes from both ends of the Tech spectrum that will more than satisfy his ever expanding fan base. Ink & Needle waste no time proving why everyone will be paying them serious attention in the new year. What else is there to say – Tech-House at it’s freshest!